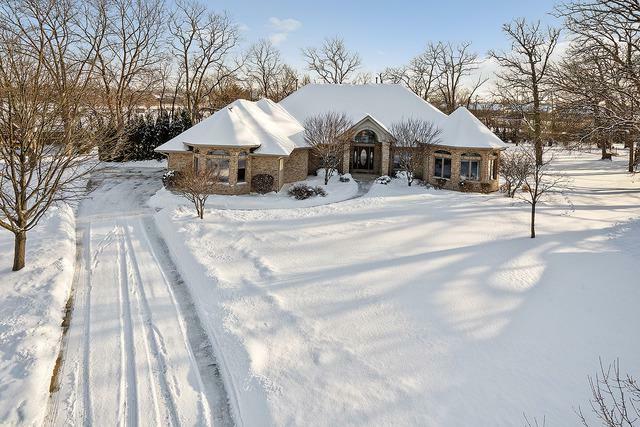 Stunning, all brick, 3 bedroom/4.1 bath CUSTOM SPRAWLING RANCH home sits on one of the largest lots in intimate subdivision adjacent to Cog Hill golf course. 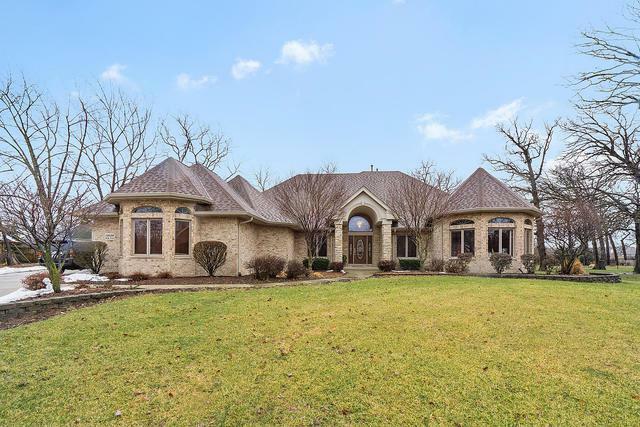 Impressive architectural details, custom mill work, unique ceilings and skylights are evidenced throughout. Grand entry welcomes you, formal dining room, inviting family room with floor to ceiling stone fireplace and soaring 17' vaulted ceilings. Spacious kitchen with granite countertops, stainless appliances, breakfast bar and eating area surrounded by windows overlooks the beautiful lush backyard. Luxurious master suite with a gas fireplace, walk-in closet and impressive master bath. 2nd bedroom ensuite with walk-in closet. Enormous finished lower level with large recreation/game room with wet bar and 4th bedroom. New furnace 1/19, Roof approximately two years old w/new gutters and flashing. Prime location near expressways, parks, dining, shopping and METRA. Lemont High School is a Natl. Blue Ribbon recipient. Must see home!